RR 2.0 Si4 S Aut. RR 2.0 Si4 SE Aut. RR 2.0 Si4 HSE Aut. RR 3.0SDV6 HSE Dynamic Aut. RR 4.4SDV8 HSE Dynamic Aut. RR 3.0SDV6 Autobiography Dynamic Aut. RR 5.0 V8 SC HSE Dynamic 525 Aut. RR 3.0 I6 HST Aut. RR 4.4SDV8 Autobiography Dynamic Aut. RR 5.0 V8 SC Autobiography Dynamic Aut. RR 5.0 V8 SC SVR Aut. 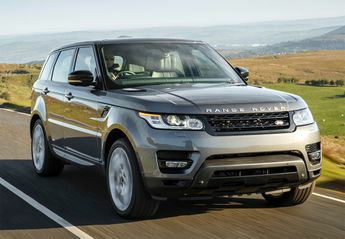 ¡Te asesoramos con las mejores ofertas para tu nuevo Land-rover Range Rover Sport!